During the summer there are certain things I yearn for all year round that are finally available. One of those things are Fried Clams. Those little shellfish heart attacks are something I will enjoy a few times over the summer months. Maybe some onion rings, and if I order the clam plate, then I will indulge in a mocha frappe. Healthy eating right here in Central Mass. I don't do it often. 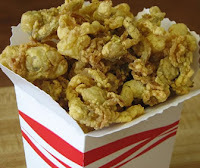 There are only a few places that I will actually order fried clams. I'm picky. There is either too much batter, not enough batter, the batter tastes funky, or the clams look, and feel anemic. Scrawny little things. One place I always liked to order clams was at Ronnie's in Charlton City. 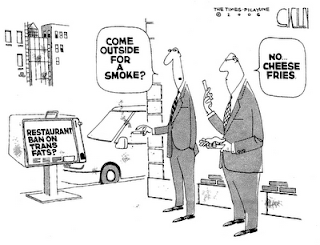 The place is clean, efficient, and the food was always fresh. Ronnie's was at the top of my clam list. They have changed the oil they use to fry with, and the food no longer tastes like it should. In fact, it did not taste good. The clams, the fries, and the onion rings had a funky, low fat taste. Healthier? Yes, I am sure, but not something I want to spend cash for since the act of eating them is no longer enjoyable. I commend the owners of Ronnie's in taking the initiative to change their oil for the health benefit of all, but in the case of clams, I need taste, not health. All good things do come to an end. 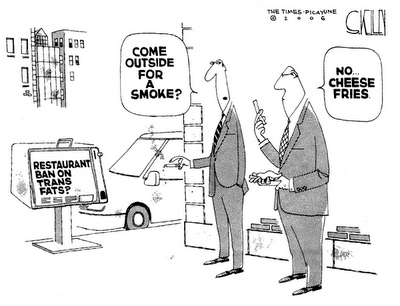 Now, don't get me wrong, I am all for using less trans fats in the making, and preparation of foods. Most of the time one doesn't notice the change, but with fried foods such as clams, one does notice it, and it ain't good. I guess there are some things that I feel should not be tampered with, and frying clams in anything else but fatty oil is one of them. If I ate them every day, or even once a week, I would support the change, but I don't, so I am entitled to whine about it for a bit. I do strongly recommend Ronnie's in Charlton City, though. It is well worth the trip, and if you are a clam connoisseur, who knows, you may just love them. TJ O'Briens has good fried clams.